Mr. McCarthy joined the firm as an associate in 2019. His practice focuses on land use and environmental law, handling all phases of the land use entitlement and permitting processes, including administrative approvals and litigation. Mr. McCarthy’s practice includes the California Environmental Quality Act (CEQA), the National Environmental Policy Act (NEPA), and the State Planning and Zoning Law. Prior to attending law school, Mr. McCarthy received his Bachelor of Arts degree in Global Studies and Maritime Affairs from the California Maritime Academy. In 2015, he received his Juris Doctorate from Golden Gate University School of Law, with a specialization certificate in environmental law. During law school, Mr. McCarthy served as an associate editor and writer for the Golden Gate University Law Review. He also completed internships with the National Oceanic and Atmospheric Administration Office of General Counsel and the Washington State Office of the Attorney General, Ecology Division. 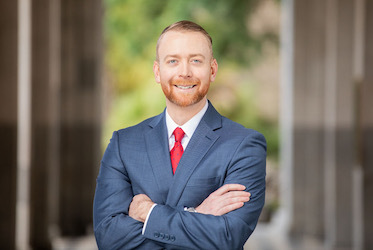 Prior to joining Remy Moose Manley, LLP, Mr. McCarthy completed a fellowship at the Golden Gate University Environmental Law and Justice Clinic and spent a year as an associate with a Sacramento law firm practicing environmental and land use law.